With the Actions infotype (0000) the user can request an overview of all of the important changes related to a person. The Actions infotype (0000) documents the most important stages of a person’s development within the enterprise. 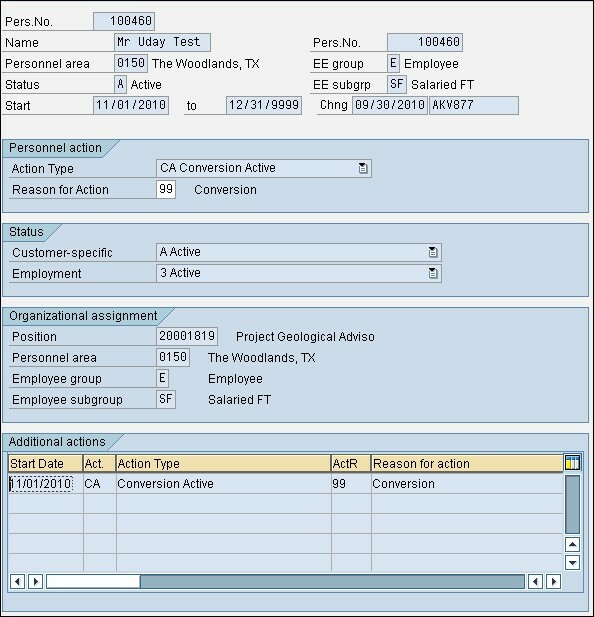 The Actions infotype stores basic information such as the Action Type and Reason, the person’s status, and the person’s organizational assignment. It is typically the first infotype in actions. It is important to note that this infotype should never be directly maintained. Instead, it should be created by SAP through the processing of an Action on PA40.